Your roof is one of the most important elements of your home: It shelters you from the wind, rain and snow while holding in heat and protecting you from the sun. 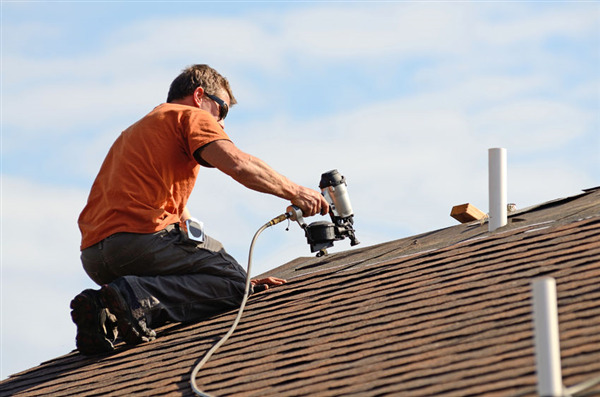 If your roof needs repairs to continue protecting your home from the elements, you definitely want to make sure you hire the right person for the job. But if you don't know anything about roofing, how can you tell? Patience: A great roofing contractor is also a good teacher. He's the expert, but he should be willing to answer all your questions in as much detail as you ask for. If he seems impatient or frustrated about explaining things to you, it's a bad sign. Promptness: It's much easier to work with a roofer who shows up on time, so pay attention to this detail. If he's unapologetically late for the estimate, it could be a sign that you'll experience delays in your project as well. Knowledge: As you listen to your contractor, it should be clear that he knows what he's talking about. Ask questions about the job, and ask to see his license or hear about his training in the area as well. While you're at it, check up on his insurance policy, too. Neatness: Construction can be a dirty job, but a roofing contractor who cares about cleanliness is one to hang on to. If you can't tell from your initial conversation, ask about how he protects the rest of your home and yard while working on your roof and what his clean-up policies are. Accessibility: You want to work with someone who is easy to contact and returns your calls in a timely manner. Ask for references — and use them! When you talk to a former customer, be sure to ask about how responsive the contractor is, as this is often the number-one complaint people have when they're unhappy with their roofer. Looking for a roofing contractor that fits the bill? Intelligent Design Corp has you covered. Whether you need a brand new roof or just some help getting rid of ice dams during a serious Minnesota winter, they're here for you. Contact them today for a free estimate to get started on protecting your roof — ad your home — for years to come. « Should You Replace Siding and Roofing at the Same Time?